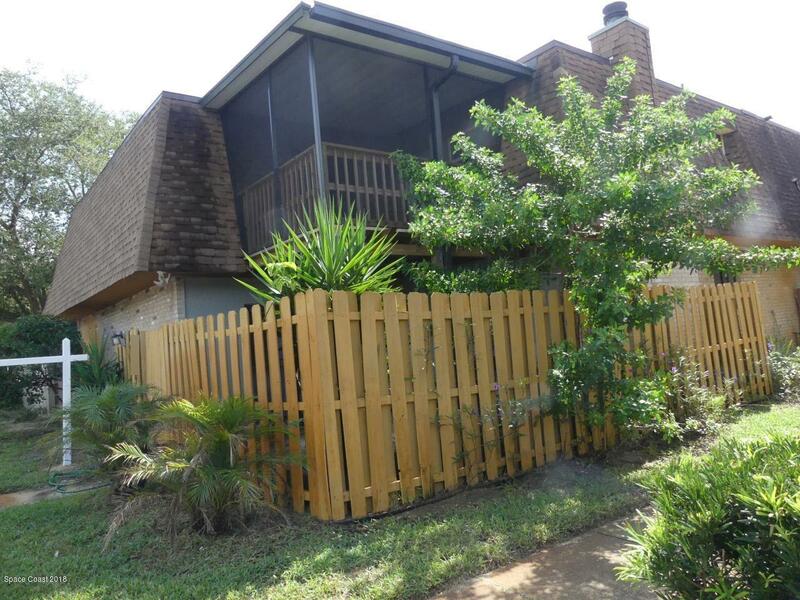 1796 S Park Avenue, Titusville, FL.| MLS# 829270 | Free Brevard County MLS Home Search. No Agent Needed. Daily Auto-Email Listings of All Brevard County Homes and Listings For Sale That Meets Your Home Buying Criteria. Brevard County Real Estate Market Information. This awesome town house is located in a very desirable neighborhood, featuring a community pool and a tennis court. This uniquely renovated town home includes 3 bedrooms and 2 1/2 baths. The private gated courtyard a great place to have a BBQ or to just relax. Once inside you'll find the open floor plan featuring a separate living room and nice size kitchen that opens into the family room and its cozy fireplace. All three bedrooms are upstairs with the master suite opening onto the new decked & screened balcony.This beautiful home features numerous updates including but not limited to the new roof, new AC, beautiful new flooring, screened deck balcony, along with updated flat top stove, dishwasher & so much more! This home shows pride of ownership and is a must-see home!